Any time of year, there's a lot going on in Paris — food to eat, fun activities to do, streets to stroll, wine to taste, river boats to ride. There are also a lot of fantastic Paris events every single month. Things like festivals, fairs (called foire in French), parades, fireworks… Attending these events and mixing with the Parisian crowd might make you feel just a little bit like a local, instead of a tourist. Finding yourself in a beach chair along the sandy banks of the Seine during summers' Paris Plage is only one example. So, let's take a look at the Paris events calendar for 2019. We include exact dates for the events wherever they've been announced. We also give you links for more information. Oh, one more thing — you'll also need to know about French national holidays, when shops, offices, and most museums are closed. We include those, too. 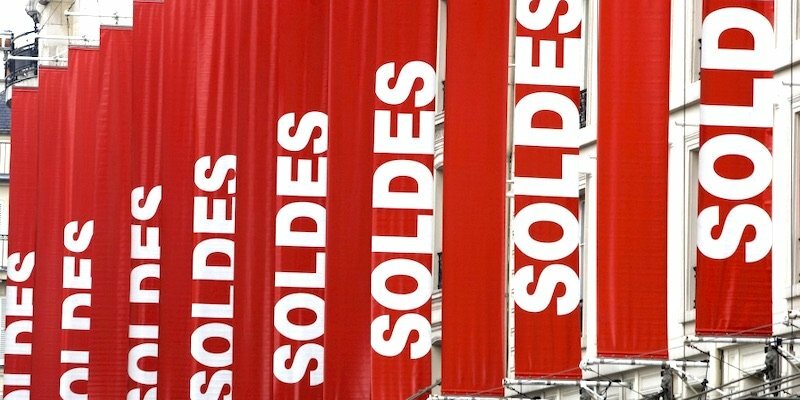 The official sales start at major department stores and boutique shops in Paris. Decoration, design, furniture, accessories, textiles, fragrances & tableware. It's held twice a year. Join the runway frenzy of top designers, models & beautiful people. Head to Paris' Chinatown in the 13th Arrondissement for a day of parades, paper lanterns and celebrations. 2019 is Year of the Dog. Run for love & laughter in Paris, at Parc de la Villette. Love cars and love visiting Paris? You won't want to miss this fabulous car show. The 2019 show features 100 years of Citroën automobile finesse. This annual European rugby tournament starts with a game at the Stade de France with France versus Wales. It's one of the biggest farm shows in France, dedicated to animal husbandry and plant care. Join the parade at Place Gambetta at 2 PM and party your way towards Place de la Republic. The second most popular run (after the Paris Marathon), the Semi attracts 37K runners. Head to one of the many Irish pubs in the city to celebrate the land of the Little People. Our fave is the oldest Irish pub in France, Kitty O'Shea's. See a fresh batch of French and international documentary and experimental films. It's the biggest book fair in France with writers, authors, and publishers under one roof. Join 100,000 travel professionals under one roof in Paris to discover all the latest trends and forecasts in the travel trade. Now in its thirteenth year, this art fair showcases 2,000 artworks. Poisson refers to the paper fish that French children tape to the backs of an unsuspecting friend's shirts. The exhibits part of Paris Photography Month, formerly held in November, has now been moved to April. The November photography month will be held on alternating years. It's the leading fair for modern and contemporary art held every spring. 40,000 runners gather to run the marathon in the world's most beautiful city. Discover the latest European trends in home interiors, gardens, outdoor activities, wine & gastronomy. Tickets are 12.50€ online. At the International Rare Book & Fine Art Fair, 150 booksellers from around the world, all members of the International League of Antiquarian Booksellers, will share their treasure trove of exceptional, rare works. 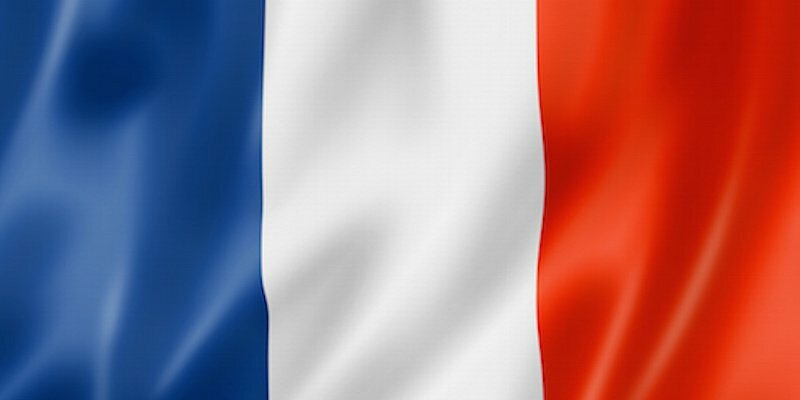 The president of France will lay flowers on the Tomb of the Unknown Soldier to honor the liberation of France. It's the only red clay court Grand Slam tournament. This popular event brings together restaurants, food & wine producers with a line-up of cooking demonstrations by top chefs. Top jazz performances in the heart of Paris. Doesn't get much better than this! Just another event that makes Paris great! Free museum entrance, plus they stay open until the wee hours. A festival of bread where the best baguette of the year is announced. See the marvelous fountain show & fireworks display held throughout the summer. Paris digital festival held at le Carreau du Temple, a historic covered market in the Marais. It's a festival of cosmetics attended by trend setters, manufacturers and lovers of makeup. A magical international jazz event held during the summer in the beautiful gardens of Parc Floral. 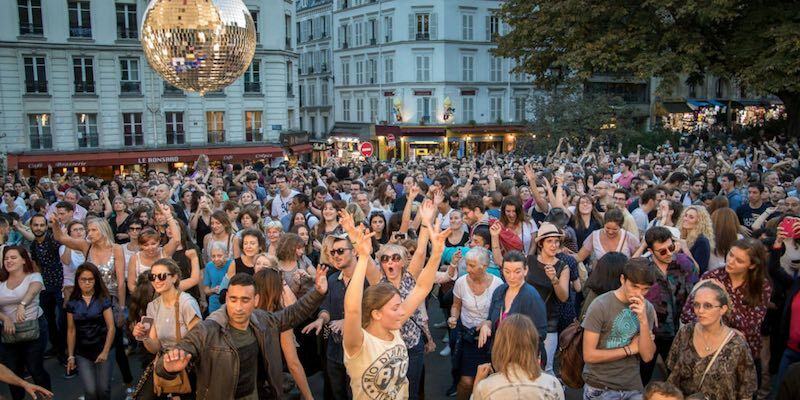 Free music concerts take to the streets and parks of Paris to celebrate the summer solstice. That's right, it's the International Dollhouse Show, attracting vintage dolls house collectors from around the globe. It's like the fairgrounds of your childhood – trampolines, bumper cars & cotton candy. It's a summer full of shows, music, plays, workshops, lectures and get togethers at Parc Floral all summer long. There's a special connection between Paris and Frederic Chopin. Although he wasn't born here, he is buried in Pere Lachaise cemetery. Head to the Orangerie in Parc de Bagatelle for your fix of classical piano music. If you love film + Paris, combine the both by attending this annual film festival. The venues are found at theaters along Champs-Elysées with plenty of insider industry events. Your chance to see the dramatic final day as the cyclists circle the Champs Elysées. Lovers of Japanese culture will unite to celebrate, manga, martial arts, animation & J-music. Concerts, dance, recitals and fireworks – you won't want to miss this spectacular event. Vive la liberte! In Paris, the military parade starts at 10 AM on the Champs-Elysées. The Eiffel Tower fireworks show starts at 11 PM. See 100 free dances, music and theatre performances in neighborhoods across Paris. Can't make it to the beach? No worries, the beach will come to you. 30 days of summer, 1350 tons of sand, 2 miles of Seine banks, and 250 umbrellas. It's one of the biggest open-air film festivals in Paris. Bring a picnic basket and a blanket. The marvelous fountain show & fireworks show continues in August. Although most Parisians have headed to the country for their August holidays, you can join those who have remained in the city… to rock out! 100 performances, 40 locations throughout Paris near monuments, in parks and public squares. What a way to celebrate summer in the city! The Canal de L'Ourcq celebrates the summer with a fun program of dance, concerts, water activities including boat cruises, films screenings, and street art. Canal de L'Ourcq is a trendy part of the Parisian canal network in the 19th Arrondissement. A festival of soul, funk & eclectic sounds that attract 30,000 music lovers. Discover the best in design from Nespresso, Ikea, Paris College of Art, and many others. Since 1930, the Festival of Humanity has been celebrated in Paris. This free international film festival is dedicated to animation. The public is invited to step inside monuments normally off limits — the Senate, Elysée Palace, private chateaux, and others. 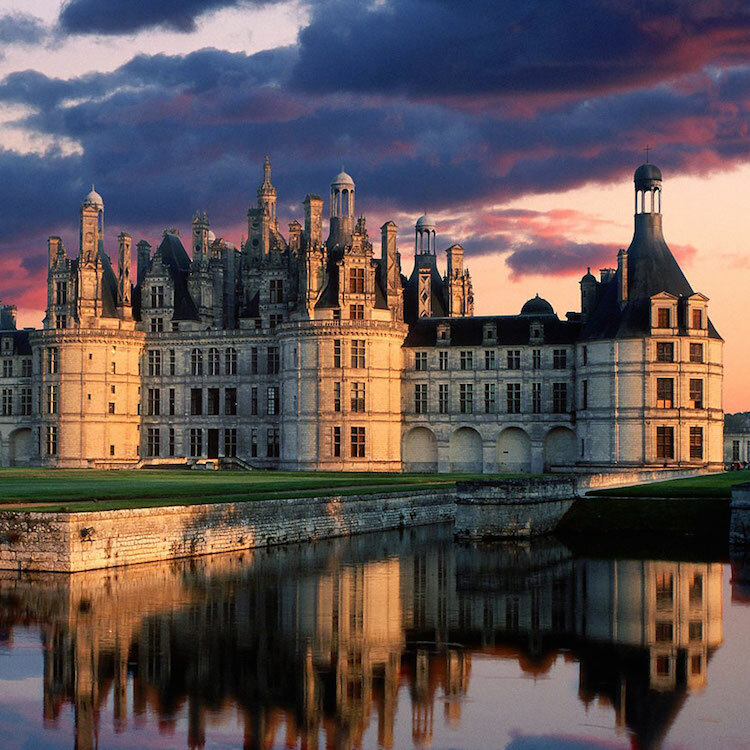 A three-day feast that celebrates the gastronomy of France. Join the beautiful people for the unveiling of the new ready-to-wear collection. Cycle through English villages, rural France to the final destination, the Eiffel Tower! It's the only wine harvest & festival in Paris, held around the one remaining vineyard in Montmartre! Stay up till dawn exploring the museums of Paris for free! 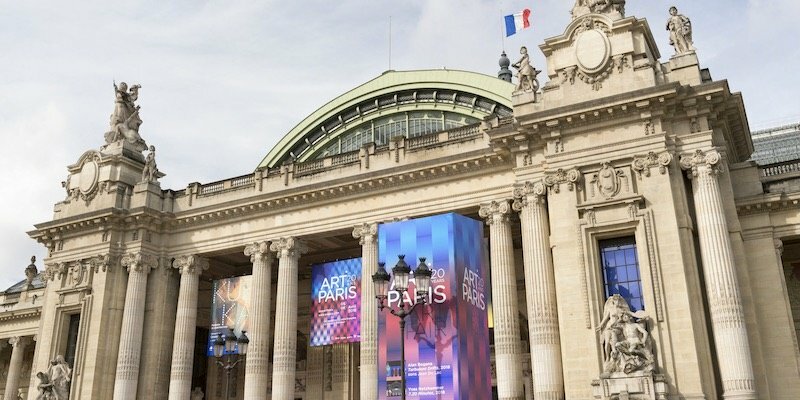 A world of wonderful contemporary art displayed at the fabulous Grand Palais. Fascinating. 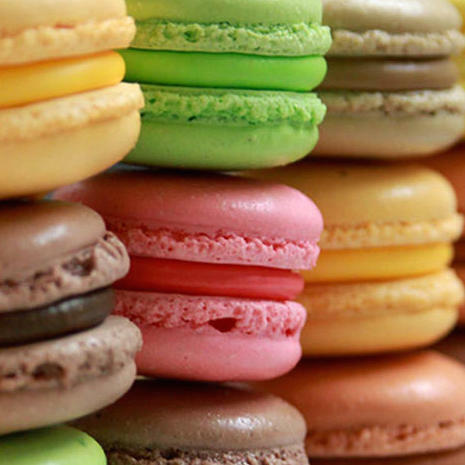 Explore the how the French celebrate the good life — home decor, gastronomy, furniture & design. It's the biggest celebration of chocolate in the world. Don't miss the chocolate fashion show! A Christian day of remembrance of all saints and martyrs. France honors its war dead with a military parade from the Arc de Triomphe down the Champs-Elysées. Fireworks, festivals, music start on the 3rd Thursday in November to mark the arrival of the new vintage of Beaujolais. Showcases the works of 60 independent filmmakers from around the world. High-level jumping competitions, the World Arabian Horse championships, and lots more horsey things. Celebrate the season by visiting a few of the many annual markets throughout the city with items for Noel! Admire Christmas trees designed by top designers that will be auctioned to raise money for cancer research. It's important for your planning to know when the national holidays fall since offices, many stores, and most museums are closed on many or all of these days. We know that's a bit vague, but it's difficult to create a definite listing of what will be open. It's best to check before simply showing up.